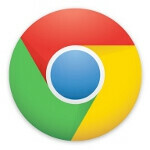 Google is hosting a couple of events this month for its Chrome for mobile browser. The first will take place on June 7th at 1pm while the second one will be held on June 13th at 11am. While the topic of the two events are not known, it is believed that one will be held for Android powered devices while the second will cover iOS devices. Google has two live streamed videos counting down the time until the events start. There is some speculation that Google might be adding extension support to both the Android and iOS versions of Chrome. Or perhaps Google has more desktop integration coming. The Android version of Chrome happens to share the same rendering engine as the desktop version which should make such integration a lot easier than hooking up the iOS version. The latter uses WebKit. Whatever Google has in store for Chrome, we will have a better idea once the first countdown timer hit zero. It's time for Google now to arrive for Chrome on desktops! Just chrome mobile browsers???? Nothing about chrome OS or Android +chrome completely integrate??? either way the competition is getting harder with apple coocking something cooler for iOS and nokia+microsoft bringing monster camera phone and tablets,phablets etc best of luck. Google stay put.